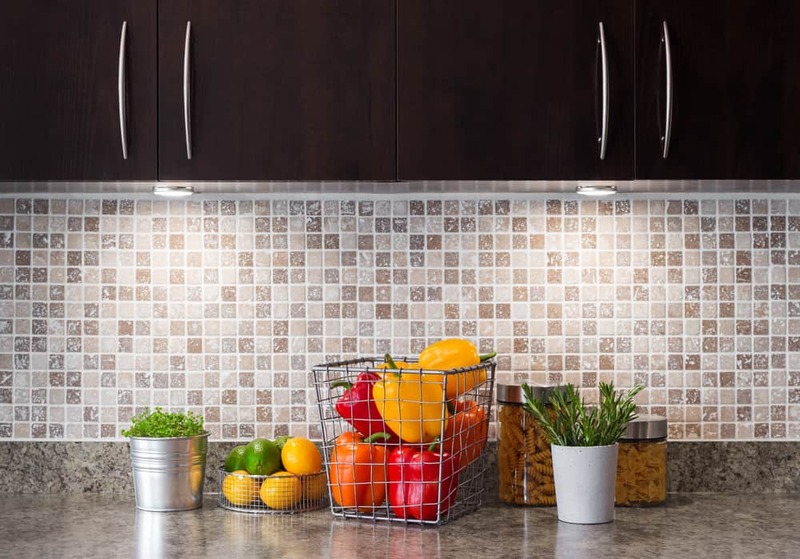 If you’re on the lookout for home improvements that make your home more livable and enjoyable, consider lighting upgrades for the kitchen and bathrooms. When light in these rooms is ample and carefully placed, everyday tasks are easier to accomplish. Installing recessed lights in your kitchen or bathroom gives them an inviting and warm feeling, especially if the rooms have a raised ceiling plate. Lighting upgrades like these are far enough from the floor to diffuse the light to create even light at the counters, lower cabinets, and drawers. Of all the lighting upgrades, installing recessed or can lights is best left to the professionals at Turn It On Electric. Besides precise cutting, the electricians have to snake wires through the walls and ceilings and make sure that the fixtures are tight and insulated. It’s especially important if they protrude into the attic to have a tight fit to prevent air from leaking into the attic. Bathrooms are particularly humid and electrical work, even for simple lighting upgrades, should be made by an expert. Putting lights or LED ropes under the cabinets makes the kitchen so much more functional on cloudy days and at night. The two options include a battery or hard-wired lights. Of the two, hard-wired lights are much more convenient since they provide a consistent amount of illumination and never need a battery change. Unless you use rechargeable batteries, battery-powered lights have a high cost over the long term since they deplete their batteries fairly quickly. If you’ve added any work areas to the kitchen or the original lighting is inadequate, use lighting upgrades that will better illuminate those areas. Spot lighting over a kitchen island and the sink makes using them so much more efficient. See more clearly when cooking and cleaning in the kitchen. One of the most welcome lighting upgrades might be lights inside a dark linen closet or a deep, dark kitchen pantry. These spaces provide convenient storage, but without an adequate light on each shelf, they’re inconvenient to use after dark. A lighting specialist from Turn It On Electric can help you choose the types that work best for you. All bulbs have a color temperature that you can change with lighting upgrades. LED bulbs come in several different color temperatures that affect how things look in a room. Bathrooms are particularly important rooms to have lighting upgrades that allow you to see things more clearly. If the color temperatures aren’t compatible with your workplace, your makeup may appear differently at home and the office. LED bulbs give you the widest variety of color temperatures, ranging from warm white to sunlight, a hue that emits a bright white appearance. It’s challenging to know how a light will look in your home if you’re browsing the aisles at home improvement centers. The best way is to invite the pros from Turn It On Electric to your home. We will help you choose from different colors and types of lighting that best match your needs and surroundings. Let the professionals at Turn It On Electric help you choose lighting upgrades and install your new lights so you can spend time enjoying them.